Avoiding nursing home placement and remaining in the family home is the desire of many older adults. Many older adults have lived in their homes for 20, 30, or more years and cannot imagine moving. However, many older adults have not planned appropriately, considered changes in daily activity, embrace a new routine, or considered choices that must be made to avoid nursing home placement. Why? We don’t know what we don’t know. We never consider that we will become ill or have an unexpected accident that forces a move to a nursing home. By not talking about avoiding nursing home placement or eventual care needs, we burden family members and limit our own options. Avoiding nursing home placement requires thoughtful planning and daily action. My mother was no different from many older adults. 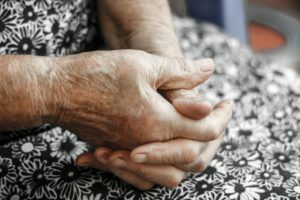 Her order to her children “never, ever, place me in a nursing home.” Other older adults tell me the only way they will leave their home is “feet first.” If you’re an older adult you probably feel the same way. If you are a family caregiver, these are statements you hear from aging loved ones. 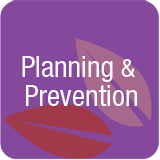 It is important that care planning discussions occur early and frequently to prevent the unexpected. Physical mobility, maintaining physical strength, and participation in some type of daily exercise are practical tips to prevent nursing home placement and to allow older adults to remain in their home. Falls occur in one-third of older adults living in the community, age 65 and older, and are associated with significant healthcare costs, increased frequency of illness, and death. Many older adults who fall, do not return to their prior level of physical strength. They give up their homes to live out their remaining years in nursing homes. Research completed by Lo (2014) through a Life-Space Assessment, indicates that as life-space declines, older adults become more increasingly frail, require more daily assistance with activities of daily living, and experience significant declines in mobility. Falls and physical weakness are the perfect combination of experiences to guarantee nursing home placement. Declines in physical strength and mobility often result in an unfortunate, but necessary, move to a nursing home. 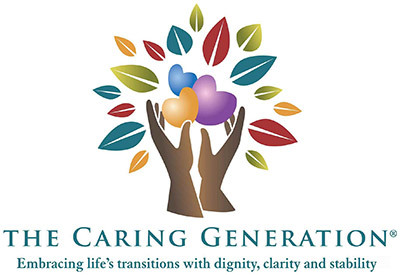 The resulting safety concerns of falling again, cognitive declines, and an inability to pay for the substantial cost of 24 hour in home care forces older adults to move to nursing homes. The benefit of early fall prevention and intervention is extremely important in supporting older adults to remain in their homes and living independently as long as possible. The costs of simple in-home equipment like raised toilet seats, grab bars, or bed poles, or the use of a walker are inconsequential when compared to costs of other support. The average cost for an in-home caregiver is $30 per hour. Assisted living communities range from $4-8,000 a month. Private rooms in a nursing home are beyond the financial means of most older adults; a shared room averages $9,000 a month. Costs of other support when compared to spending $200-500 on safety items for the home is a wise choice and a prudent action that may save thousands of dollars and avoid serious injuries. Lo (2014) uses the concept of life space to relate physical ability and independence levels of older adults. The idea of life-space means the level of mobility in the community supported by lifestyle, activities, and social participation that occur as the result of an individual leaving their home to engage in daily activity. Decreased life-space relates to individuals who are homebound and limited in mobility. This means that these individuals may only use one or two rooms in their home. This lack of physical activity and mobility increases the likelihood of difficulties in completing daily tasks to the degree that remaining at home, versus moving to an assisted living community or nursing home, is eliminated as an option. How many of you have days where you don’t leave your home? The most activity you experience is walking from the bedroom to the kitchen to the living room and to the bathroom? You are choosing to self-limit your life space. Ever wonder how many walking steps you take in a given day? Purchase a pedometer and you’ll quickly be able to determine your daily level of physical activity, if you have mobility limitations, or are at risk for falling. Ten thousand steps a day is a good goal. Research proves that individualized exercise has the ability to improve cognition, physical strength, and quality of life. Poor or decreased muscle strength is a significant risk factor for falls. Once an older adult, falls, the fear of falling again results in a loss of confidence in performing daily activities and a restriction of activity which results in further physical decline. Falling results in limiting life space. According to Buttery (2014), the challenge with physical therapy, prescribed for older adults who have experienced injury or who are at risk of falling due to poor physical strength, is that the therapy is short term in duration and many older adults have no desire or motivation to continue the exercises after the therapy ends. Group-based programs at hospitals or community centers may offer similar programs however it is important to choose a program that matches the goal level of activity and endurance. For example, a sit and be fit program, would not be a good match for a person who should be walking several miles a day. Changing a longstanding habit of physical inactivity can be challenging when physical weakness threatens the ability of an older adult to perform daily tasks. Research conducted by Langlois (2012) indicates that individualized exercise training interventions can lead to significant improvement in cognitive performance, physical ability, and enhanced quality of life. Retaining the service of a personal trainer is beneficial, if only for one or two sessions, to identify areas of physical weakness and to obtain specific exercises to strengthen the body. Once you achieve your physical goal schedule another training session and congratulate yourself on the progress you’ve made. You’ll be surprised how much better you feel! An example of an individualized program that showed positive results was a 12-week program of 1-hour sessions three times each week. These sessions included 10 minutes of stretching and balancing, 10-30 minutes of aerobic exercise (treadmill, recumbent bicycle and elliptical), 10 minutes of strength training and 10 minutes of cool down exercises tailored individually to result in moderate to difficult intensity. While older adults may balk at this level of exercise as being too much effort or too difficult, if the goal is to remain living independently at home and to avoid falling and the subsequent injuries, then this plan or a similar plan will achieve this goal. As with any exercise program, it is recommended to consult a physician prior to participating. For those uncertain about attending exercises in a community setting, there are programs on DVD for the television of all types of exercise yoga, aerobics, floor exercises, stretching, dancing, and weight training. The statement that one can’t exercise is an excuse. When all else fails, find a buddy willing to participate in an exercise plan as a buddy may offer the best motivation and support. Agree that you won’t allow each other to say no or to miss a day. Commit to avoiding nursing home placement by planning ahead and being proactive. Consider in home safety equipment. Remain physically active by taking 10,000 steps each day. Commit to a regular exercise program. Buddy up for social and emotional support and motivation to remain physically strong and active. Being proactive in these areas have long term benefits for overall self-esteem and well-being. Lo, A., Brown, C. Sawyer, P., Kennedy, R., Allma, R. (2014) Life-space mobility declines associated with incident falls and fractures. JAGS 62:919-923. ©2014, 2018 Pamela D. Wilson, All Rights Reserved.